EMV upgradeable and uniquely designed, the RL Triton Traverse has been engineered to stand out in looks and performance. Priced competitively, RocketATM unquestionably stands by this Triton retail ATM machine. Triton® has over 30 years of experience in the industry. 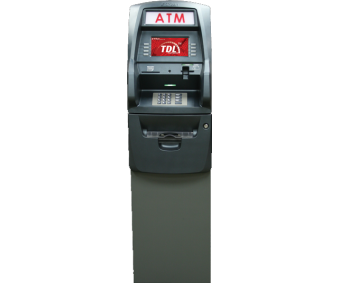 This experience places this ATM machine in the position as industry leader in supporting the latest federal and network security requirements so you can rest assured your Traverse™ is compliant with regulations, and has the flexibility needed for updates. 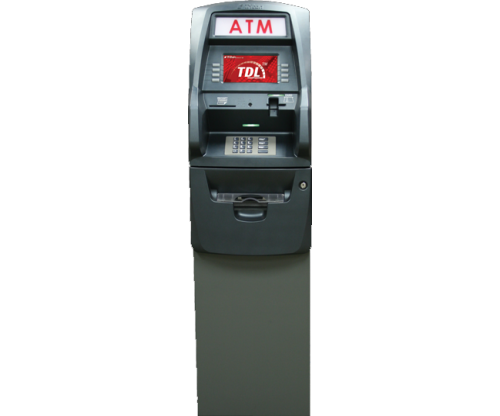 Triton® ATMs support virtually all communication protocol technologies, ensuring a perfect fit in any location. All Triton® ATMs run Windows® based operating systems to ensure future upgradeability and provide a solid platform for advertising and branding. Our ATMs communicate with the host via a protocol known as TDL. Widely accepted as the de facto industry standard, and certified by EVERY processor, the TDL platform is the backbone which supports faster processing, feature rich software functionality such as Triton Key Management (TKM), and smart controls that allow interactive customization. And, we hope you’re feeling lucky because the Traverse™ is quick-pick lottery ready!